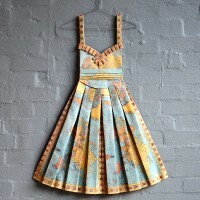 We are really exited to introduce the work of New Zealand artist Anne Wilson. 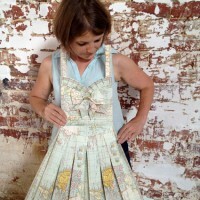 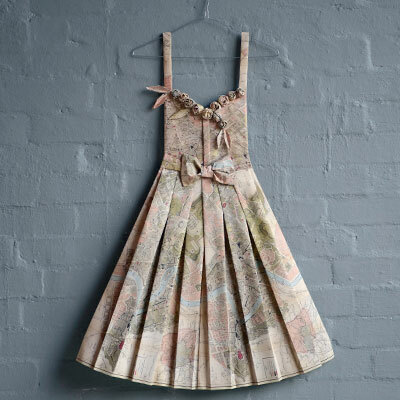 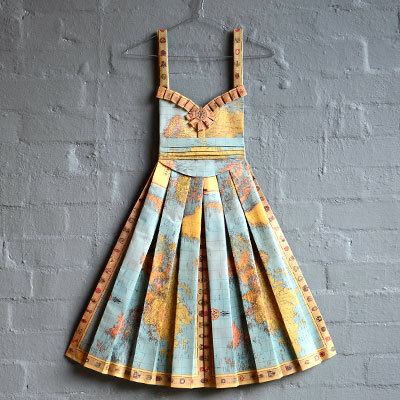 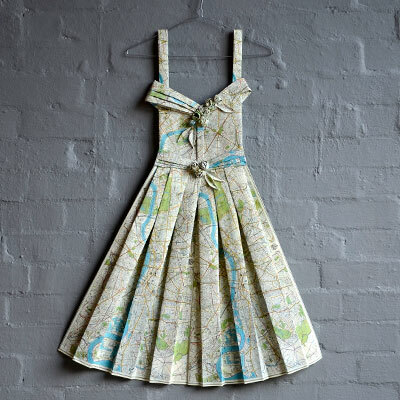 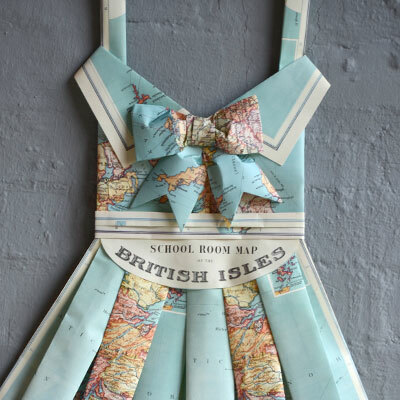 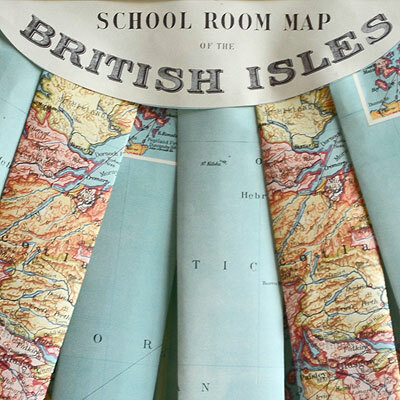 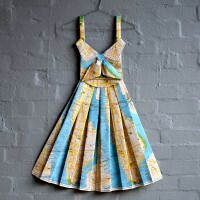 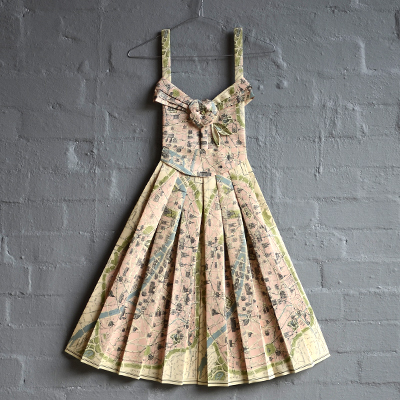 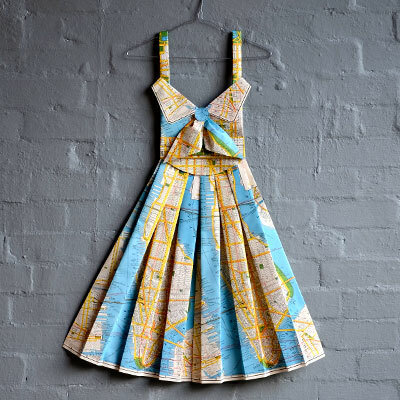 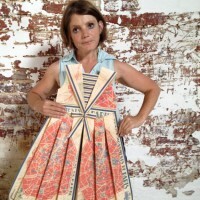 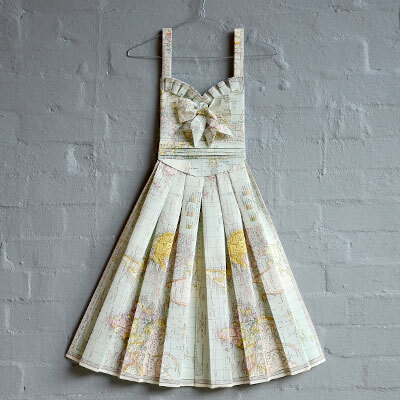 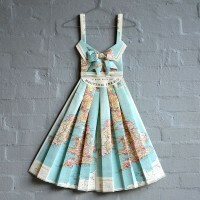 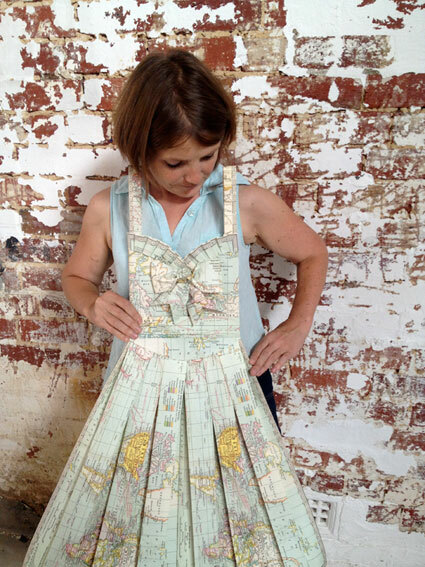 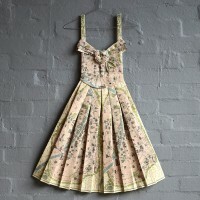 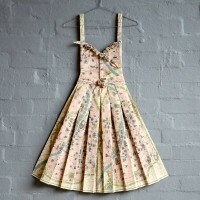 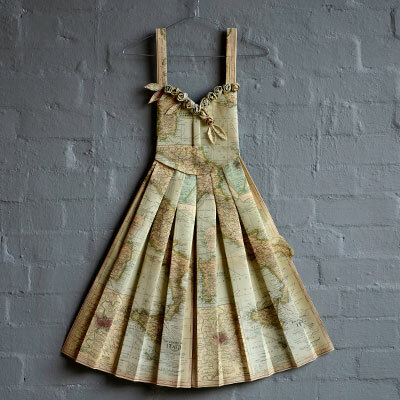 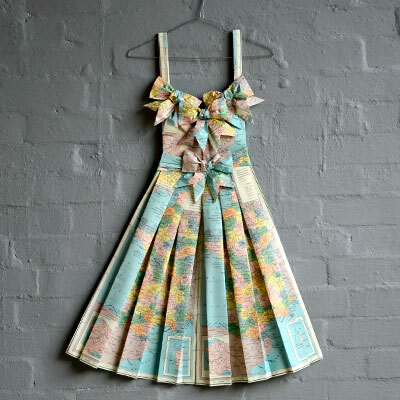 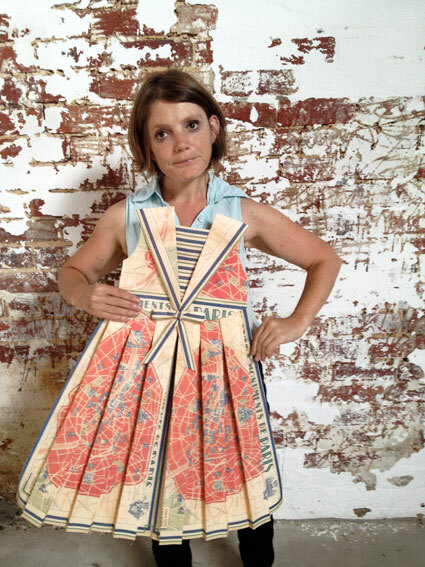 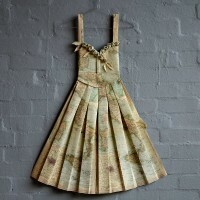 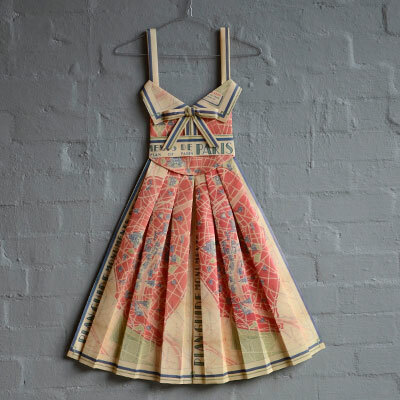 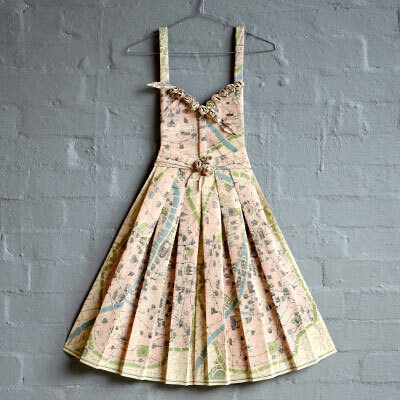 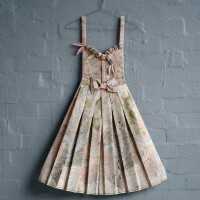 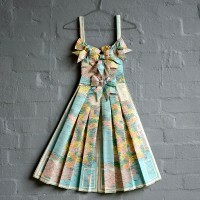 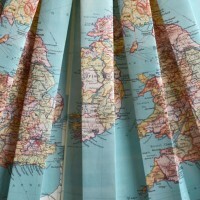 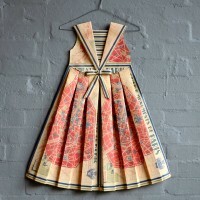 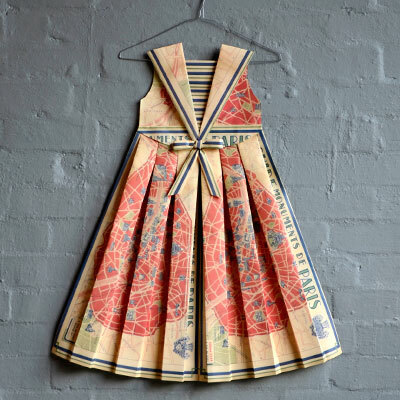 Anne produces a range of beautiful, hand-formed, paper origami dresses using international maps of various regions. 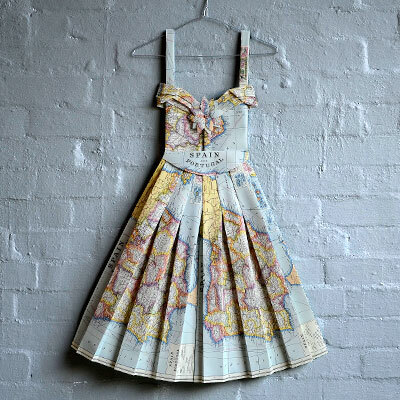 Each dress varies in colour, map design and dress style. 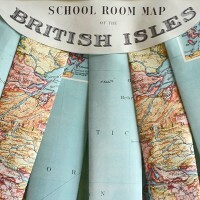 They work well individually or as a series, and can be displayed on a coat hanger or framed. 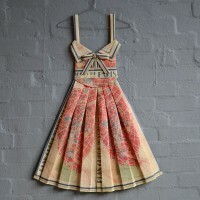 Unpacking the dresses was a lot of fun as it was a mystery box of sorts. 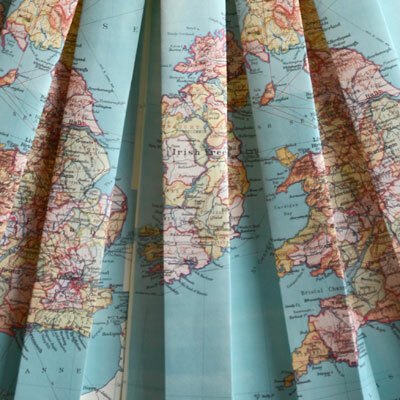 We got a little excited. 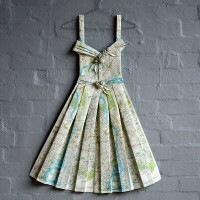 This resulted in an impromptu fashion show, unfortunately without the champagne and canapés! 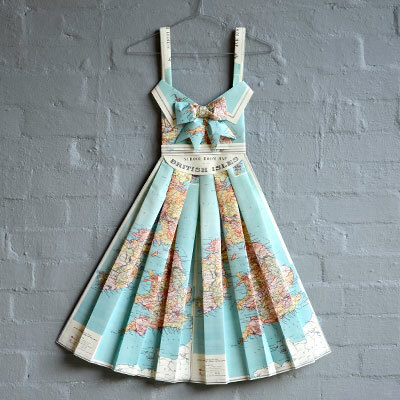 These dresses are now available for purchase through our website. 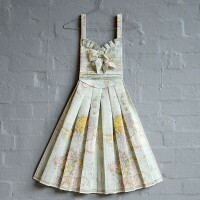 Alternately, if you would like to view the dresses, please contact us to arrange a time.